We were happy to hear this week that ABC’s Forever has just received an order for another nine episodes making it a full season. We are intrigued by the premise of the immortal medical examiner and look forward to discovering more about his mysterious past. 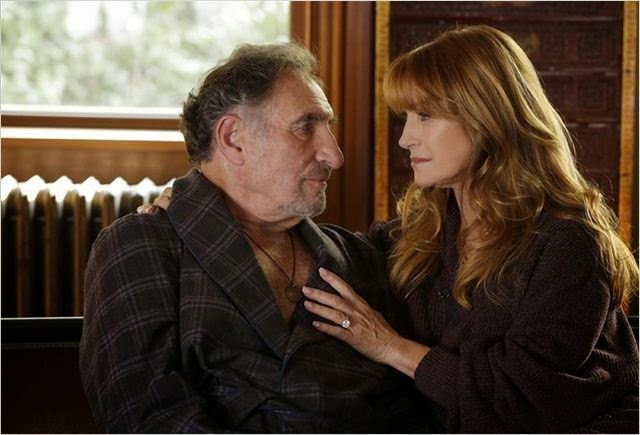 On tonight’s episode the legendary Jane Seymour guest stars as a love interest for Judd Hirsch’s Abe. Jane plays Abe’s twice ex-wife, Maureen Delacroix. She explains “She’s basically trouble for Abe… She’s realized that in finding the right partner, no one ever’s been quite as good as Abe... So now she wants to get him out of his life and travel the world with her. But he knows she’s trouble.” Lucky for us, the producers asked her if she would be available to do more shows, so it seems like things are not quite settled with Abe and Maureen. The actress, best known for her ‘90s TV series Dr. Quinn Medicine Woman is as passionate about her work behind the camera as she is acting in front of it. Most recently she co-produced the documentary I’ll Be Me: The Glen Campbell Story with her ex-husband James Keach. After announcing he had Alzheimer’s, Glen set out on farewell tour, which is documented in the film. Tune in to Forever tonight on ABC at 10 p.m. EST/9 p.m. Central.